Configuration details: XP DEUS Detector with WS5 Full Sized Wireless Headphones + 9″ X35 Coil + Remote. This model ships with software version 5. 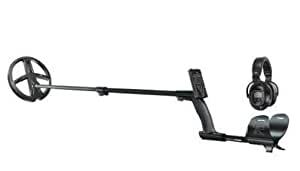 The complete XP DEUS metal detector is covered by a five year parts and labor warranty. Designed around brand new electronic advances, the new high performance and versatile X35 coil will allow you to choose from a wide range of frequencies ranging from 3.7 kHz to 27.7 kHz. In total there are 35 available frequencies, based around 5 main frequencies that are quickly accessible. USA Service center.